HEK cutting systems are microprocessor-controlled systems, operated by Windows-based software. A variety of software features are available such as direct plot on tray, TPS block and compensator input, DICOM-RT import, edit tool for contours, different possibilities for the cut path, cut simulation, label print etc.. The Autimo 2D system is an extremely reliable hot-wire cutter. Its four PLC-controlled, high precision industrial axes guaranteeing an excellent repeat accuracy. The system can be used with different cutting wires down to a diameter of 0.1mm. The windows based software runs on Windows 9x, ME, NT, 2000 and XP. The data import supports all common treatment planning systems as well as DICOM-RT. The use of high performance, maintenance free components guarantees excellent product reliability. Customer orientated, Windows based software with lots of useful tools for block production. Multitasking allows simultaneous control of periphery equipment as well as the control of a second cutter. Import filters for TPS export files and DICOM RT are available. Easy-Mount wire holder for using pre-configured cutting wires in different diameters. The Autimo 2.5D is designed to mill compensators and beam intensity modulators in radiation therapy. Transfer options for common treatment planning systems are available as well as DICOM RT. User configured adjusting holes or the use of a compensator tray-mount system takes care of exact compensator positioning. The use of high performance, maintenance free components guarantees excellent product reliability. Customer orientated software with lots of useful tools for compensator milling. Generation of positive compensators enabling them to be milled out of full material (e.g. low melting point alloys). Import filters for TPS export files as well as DICOM-RT (option). Usage of milling cutters from 1 to 6 mm diameter. Compensator Tray-Mount System available (option). Windows Software (Windows 9x, NT4.0, ME, 2000, XP). 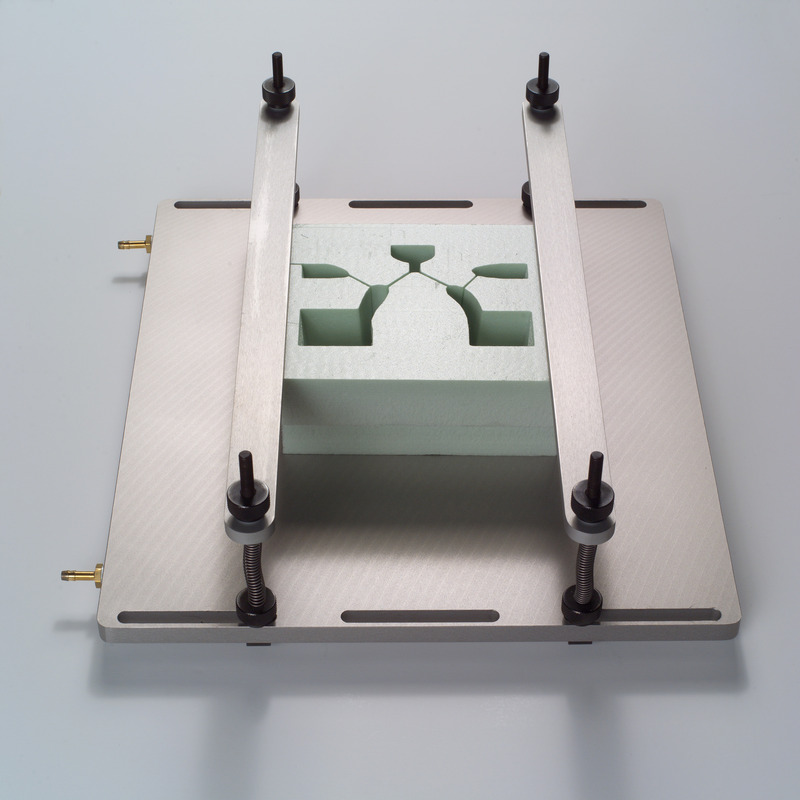 The Autimo 3D is designed to mill compensators, beam intensity modulators and shielding blocks in radiation therapy. The computer-controlled, automated, 5-axes milling system cuts with or without divergence. Compensator and block data transfer from common treatment planning systems are supported as well as DICOM-RT. Customer configured adjustment holes or the special tray-mount system guarantees exact compensator positioning and alignment. 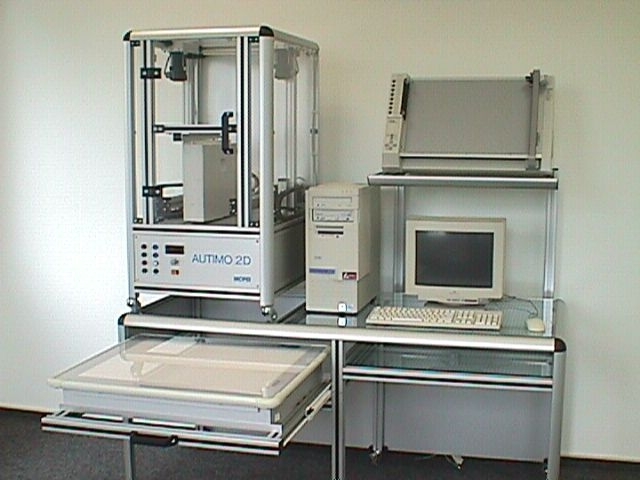 The Autimo 3D system is able to be used with styrofoam, low melting alloy and polyethylene material. The use of high performance, maintenance free components guarantees an excellent product reliability. Customer orientated Windows based software with lots of useful tools for compensator milling. Generation of positive compensators for milling out of full material (e.g. low melting point alloys). Usage of milling cutters from 3 to 6 mm diameter. Pouring / cooling plate for quickly cooling down the block alloy. The combination of cooling plate and cooling unit minimises cavitations and provides block solidification in less than 20 minutes. 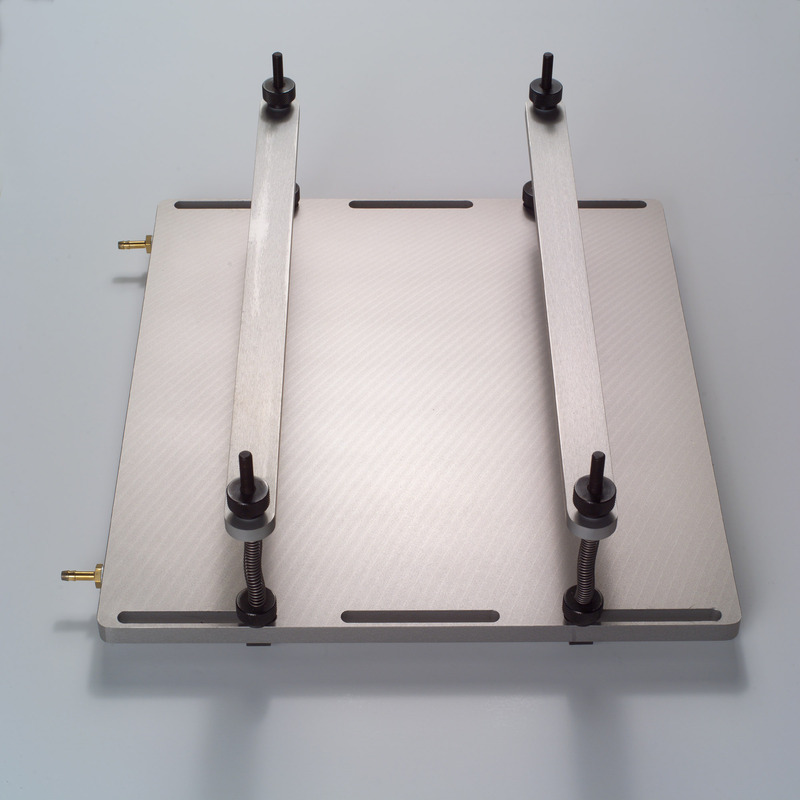 The pouring / cooling plate has adjustable mounting bars so that it can be used with styrofoam blocks of different sizes.